Does your child read basic Hebrew? Does your child speak Hebrew? In case of a medical emergency, I understand that every effort will be made to contact the parents, guardians or family physician. In the event of an emergency, where such a person cannot be reached, I hereby give permission to the physician/hospital selected by Chabad Hebrew School to hospitalize and secure proper treatment for my child. I further agree to pay for all charges for that care and/or treatment. I hereby give permission for my child to attend all filed trips and outings sponsored by Chabad Hebrew School. I hereby give permission for my child to be photographed or videoed as part of his/her and other children's enjoyment, and for possible use in advertising and promotions. 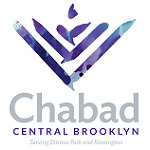 The following document is a tuition agreement for the Chabad Hebrew School. The agreement explains the tuition fees, payment plans, and refund policies. Please read it through carefully and sign below. The signed tuition agreement along with full payment must be submitted before any child will be permitted to attend classes. The tuition for the Chabad Hebrew School is $600 per year per child (this includes the registration and book fee). There is a 10% discount off of the regular tuition for each additional child of the same family. Plan A: You may pay the entire amount in full entitling you to a $100.00 discount off of the regular tuition. Plan B: You may pay the annual tuition on a monthly basis by submitting 10 checks of $60.00 each, dated September through June. All checks must be submitted before the first day of Hebrew School. Plan C: You may use your Visa or Master Card to pay the tuition. Your credit card will be billed $60.00 monthly September through June. To do so, please include your credit card number and expiration date. Refunds for children withdrawing from school before the end of the school year will be granted provided that the school office is given 30 days written notice. Tuition refunds will not be granted to children withdrawing from school after April 1st.